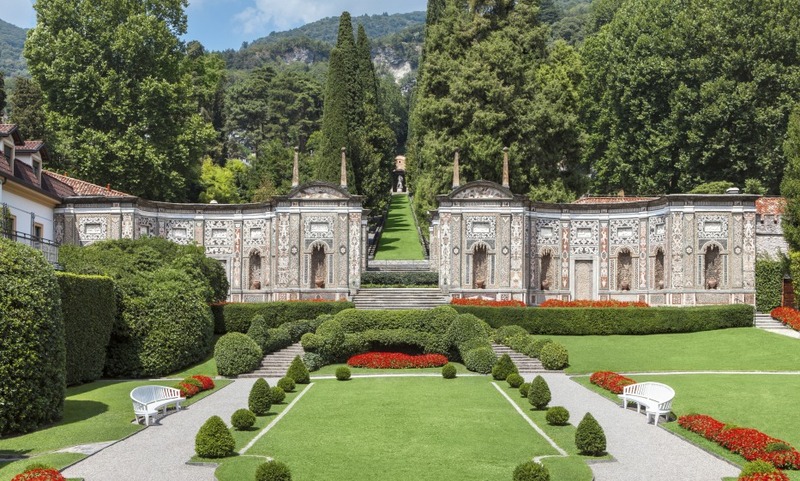 This Renaissance era Palace on the shores of Lake Como, is a portal to another world. Within the Villa d’Este, experience a brand of luxury that is indeed, timeless. The Villa d’Este is made for anyone who wants to spice up their trip to Lake Como with a touch of Italian Old World Charm. From the deferential service, to the sweeping staircases and antique sculptures, the Villa d’Este is as classic as classic gets. It’s not everyone’s cup of tea, but if staying in a 16th Century Tivoli palace on the shores of Lake Como sounds like the perfect getaway, look no further than this 450 year old Italian Grande Dame. One of the finest hotels I have ever stayed in, if not the finest. Service is impeccable, the hotel immaculate and the views breathtaking. There are few, if any, places like it. We will be going back. Great hotel, friendly and efficient staff, beautiful location, beautiful outdoor area, excellent grill restaurant. My thanks to Claire at the business center for helping me with my boarding check in. We found every staff member to be wonderful. We intend to return. Spectacular hotel, specially if in a lakefront room. Service great! My favourite hotel stayed on previous occasions and my parents first time.They loved it and will be back. Villa d'Este was absolutely wonderful for our family! We loved the lakefront view, the floating pool, the kayak/paddle boarding opportunities, and the overall ambience. What made it all come together was the quality of the staff - service was wonderful. Waiters offered our seven year old daughters Nutella crepes and everyone was so warm and welcoming. Our grandparents also had a very peaceful time made possible by the hotel. Our stay was enchanting. Villa D'este is the most beautiful hotel we ever stayed in. Thank you. I have traveled this world and stayed in many hotels, Villa D'Este is the best so far and I will come back again &amp; again. It was the first time that we were attending a palace of this category. We were absolutely delighted and enchanted by the site (environment and hotel) and a wonderful welcome. We have tasted excellence! Villa D'Este was the nicest hotel we have ever visited. Our stay was terrific. We can not wait to return. The concierge at the hotel was extremely helpful locating our lost luggage. The service was excellent in every way. A palace in every sense of the word. Perfect, a quiet and charming place where you can't help but feel at peace. This is - besides its beauty - one of the most remarkable hotels in Europe, in its service as well as in its overall appearance. It is well worth a visit. It was one of most beautiful places I have ever stayed in. The whole experience was absolutely wonderful, we had the most magical time and would definitely go back again. I couldn't be more happy with the time spent at the Villa d'Este. It was truly the best. The Villa d’Este experience is hard to summarise in a few words. Is the setting beautiful? Of course, is the service good? Well, that depends, merely calling this, “service”, is inappropriate. What it is, is an omniscient presence (but never overbearing) of incredible kindness and professionalism. If you need proof that hotellerie is an art form- and I refer to all levels of staff for this-, look no further than the Villa d’Este. The experience this hotel creates is the very definition of luxury. The restaurant is magnificent and we’re very grateful for the particular attention that was given to us for our wedding anniversary, which was our main reason for visiting this wonderful establishment. Of course, nothing is perfect, so naturally I am sure you’re expecting one bit of criticism…. And there’s none. Perfection is of this world, and it is at the Villa D’Este. A great hotel made special by it's unique setting and grounds. The courtesy and efficiency of the staff was excellent as was the food and service in the restaurant, grill and terraces. A fabulous hotel in the most beautiful setting. We had a very relaxing few days and will come back. I had an excellent stay. The hotel is very refined, and shows a kind of attention to detail that you can only find in a luxury Italian hotel. Only one criticism: no coffee machine in my room. Among the best hotels in the world. This luxury hotel has managed to conserve its soul throughout the years, while providing all the comforts of modern luxury. I stayed there with my wife and small children in the late 70’s a very long time ago! This time, I came with wife and son with his wife and two small children. Our stay was delightful, and the refurbishment was excellent! I recommend this hotel to all my friends. I had one night stay only. Unfortunately there were no availability in the hotel for a longer stay. This is my first visit to Villa D'Este and it the most exclusive. I came here to celebrate my Birthday and had last night the most amazing dinner at the Veranda restaurant and service. Everything was just right in our service - not too much, not too little. Just right. Our waiter was most attentive, his professionalism was beyond expectations. He even asked a piano player at the Bar to play Happy Birthday song when he served us a candle and desert. I was touched to tears.The stay was splendid and I looking forward to spend many more Birthdays at Villa D'Este. It's a wonderful hotel and one that I would wholeheartedly recommend. The property is beautiful, interesting and the people are wonderful there. I've been a regular for 20 years and the Villa d'Este has always been perfect. Best hotel we have ever stayed at. This was our third visit and it did not disappoint. The hotel is superb in an amazing location. Loved the location, our room in Queen's building and the terrace which gave a wonderful view. The water in the pool was so cold it was difficult to catch one's breath to swim. High standard of service from all staff. I loved the breakfast - all my favourite breakfast items were there - and especially on the day we had breakfast on the terrace. However, the Verandah dinner menu is, for our taste, too rich and heavy and we would have liked to see some simple, light and healthy dishes as well. Ice cream - my favourite food - delicious! For our final lunch on the terrace we requested simpler food and the chef had no problem meeting our requests - my penne all vodka was superb. Next time we will always request some simpler dishes when dining in Verandah. The hotel was very busy as there was a wedding on Saturday. Loved the jogging trail. Easy walk to Cernobbio for shopping/ferry if we wanted to use public transport and boat not available at hotel. Looking forward to our next visit. We had a wonderful experience at Villa D'Este. Apart from the luxurious environment we received efficient and friendly service. Amazing attention to detail in all aspects of the hotel and the beautifully maintained gardens. Perfect hôtel, simply fantastic. Devoted and qualified staff. I will highly recommend. A well managed establishment clean, efficient, and always available for guests. A magical place with highly trained staff, joyous atmosphere. A great time!! Beautiful hotel. Breakfast could be better. Our room (101) was a bit noisy. One of the best places in the world. It is a fabulous hotel in magnificent surroundings. Very expensive! Great all round. Excellent. I will definitely return again. Villa d'Este is one of the best in all over the world. I liked the atmosphere and this luxury hotel. The staff was vey helpful. If you would like to have a memorable time just stay there. I didn't like the lack of the close walking attractions . I was expecting a more personalized and refined experience for a romantic weekend. A little disappointed by the closure of restaurants because of the very recent reopening of the hotel. I chose a suite with lake view but the interior was a little disappointing for me. The place remains fabulous but below my expectations for this type of stay. We asked the hotel concierge to book us a romantic restaurant and found ourselves in a business restaurant ! Luckily the food was delicious! We did have a wonderful stay in your hotel with a great party ending with fireworks of great quality. To access the restaurant Veranda a jacket and tie is required for gentlemen: I find it retrograde and from another age ! You deprive yourself wanting to keep this snobbery. it is certainly not a client's request especially in the summer with 30 ° C. Please adjust your standards! We had a wonderful time during our stay and would return at the first opportunity. Brilliant hotel. Service was outstanding.